Have you ever thought about what happens to a tip you leave for a server at a restaurant? Most of us would think that the amount we leave will be added to a sufficient wage. Unfortunately, this is not true for most of the restaurant industry workforce. Currently, in the US, 43 states have a two-tiered wage system, which means employers in the restaurant industry can pay different wages for tipped and non-tipped workers. The federal minimum wage for tipped workers is $2.13 an hour and while many states have their own laws, the minimum wage for a non-tipped worker on a federal level is $7.25/hour. In other words, in 43 states, it is legal to pay a tipped worker as little as $2.13 per hour as long as the tips they receive add up to match the least an employer should remunerate their staff in a given state. Needless to say, this is a problematic system. Two dollars and thirteen cents an hour is the minimum amount before taxes are discounted. This means that, in reality, millions of servers, bussers, hosts, and bartenders survive practically only out of the tips they get from us, the consumers. And because tips are variable, shareable, and not guaranteed, they don’t have a stable income they can count on. Depending on the uncertainty of tips to pay bills that don’t vary in price every month is only the tip of the iceberg. Seventy percent of the restaurant workforce are women and more likely to suffer sexual harassment. Most of the norovirus outbreaks (food-related illness) caused by contaminated food occur in food settings like restaurants. Nearly ninety percent of restaurant workers don’t get benefits such as health care and paid sick days and two-thirds of those who responded to a survey reported cooking, preparing and serving our food when they’re sick for lack of an alternative. Luckily, there are groups of people fighting this system, such as the Restaurant Opportunities Centers United (ROC-United). Since its founding after the events of 9/11, their main mission has been to achieve better wages and working conditions for the restaurant workforce, including a single, fair wage that workers can depend on, even before tips. 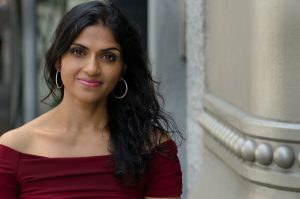 ROC-United’s Co-Founder and Co-Director, Saru Jayaraman was one of Bioneers’ keynote speakers in 2017. She will tell us about how this national movement began, why she is committed to this fight, the victories over more than a decade of work and the difficulties of challenging such a powerful industry and the government. She will also be on a panel on how to build movements to transform institutions and systems.